Sometimes you need to write to a specific word or character limit. 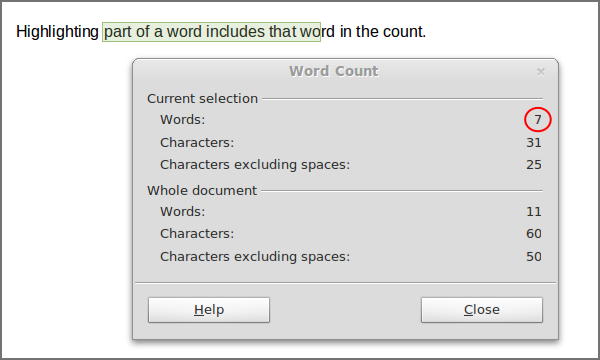 LibreOffice Writer’s Word Count can help. This will display the Word Count dialogue box. It shows the counts for the Current selection and the Whole document. To count the current selection, highlight the section of the document you want to count. Highlighting part of a word includes that word in the count. 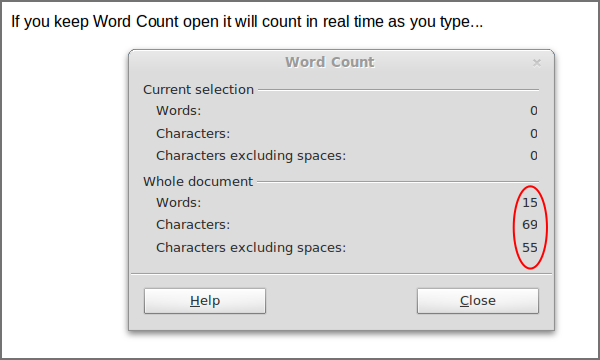 If you keep Word Count open, it will count in real time as you type. Any string of characters between two spaces counts as a word. Words are also defined by tabs, line breaks and paragraph breaks. A hyphenated word counts as one word. For example, the following text counts as five words: real-time data, “??! *” and/or http://justoutsource.it. Useful for refining tweets on Twitter and writing text for Google AdWords, Word Count’s Characters count includes spaces. You may find Characters excluding spaces useful to calculate costs if you do translation work. 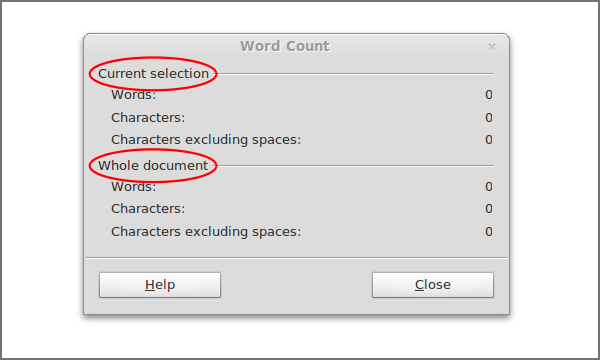 Both types of count are there, as standard, in Writer’s Word Count. LibreOffice Writer is a professional alternative to Microsoft Word. We offer a full range of writing and editing services. We also provide training and support to migrate from Microsoft Office to LibreOffice. Contact us or visit JustOutsource.it our main website. « Raspberry Pi — Sold Out!